You’re playing a cash game, seated in the dealer position. 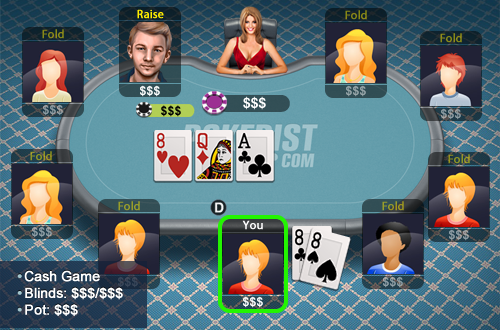 UTG+1, who is a passive player raised 3 times the blind pre-flop, and you were the only caller with a pair of eights. The flop comes out AQ8. They lead for a pot bet.